The Bump is the accessory that checks off all the boxes. It’s portable and reduces clutter while solving the real problem of your phone battery dying when you’re out. Replace your current wall charger with Bump then take it with you wherever you’re going. Save 30% with promo code BFCM35 and get yours for $35. The Bump charger powers Apple and Android devices and is compatible with any other USB device. Bump is a 3350 mAh powerbank, providing up to 1.5x extra charge for your phone along with a status indicator so you know how much is battery life is left. It’s smart too. When plugged into the wall and fully charged, the charge will bypass Bump and go straight to your device. 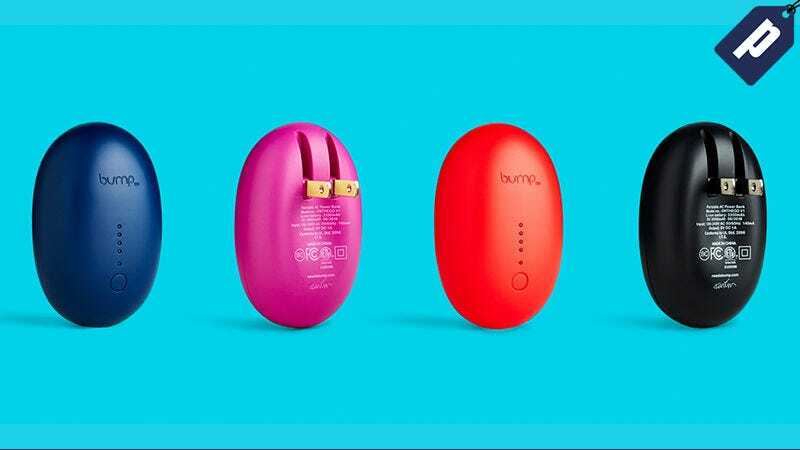 The Bump is a can’t live without accessory whether you’re traveling, commuting, working, or at your house. Save 30% and get your bump for just $35 with promo code BFCM35.